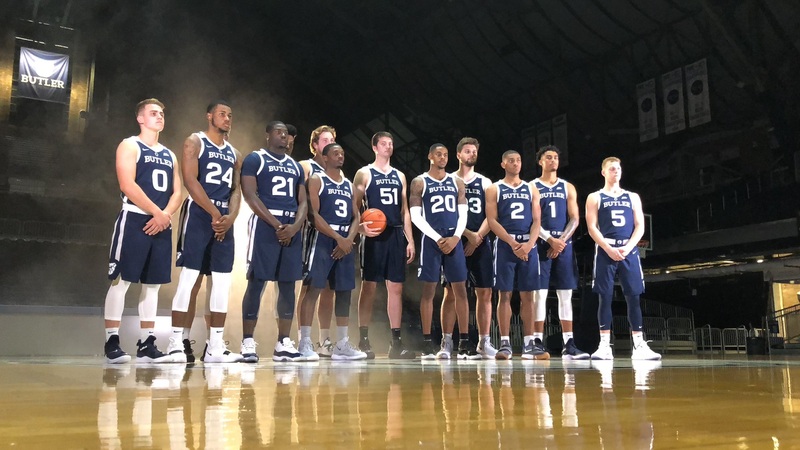 The Butler University men’s basketball team is trying to make the NCAA Tournament for the fifth consecutive season. The team has had its ups and downs this season, but still has a chance of sneaking into the big dance. With a record of 14-10 and a Big East record of 5-6, the Bulldogs have some work to do to put their resume over the top by March 17. Butler’s Kamar Baldwin has been the primary option for the Bulldogs this season. The junior guard leads the Bulldogs with over 17 points per game and also leads the team in rebounds, blocked shots, and steals. However, it is hard to win a basketball game relying on only one scorer. This has been a problem for Butler this season. If they want to be playing in late March, they are going to need some consistency behind Baldwin. Jordan Tucker and Paul Jorgensen would be the most likely candidates. The former is carving out a role in the Butler offense as a talented small forward. He can shoot well from beyond the arc and is also not afraid to take the ball to the hoop. He is averaging 10 points per game and has earned more minutes as the conference season has gone on. Jorgensen, on the other hand, is heating up, having scored in double figures in his last three games. The senior guard is a talented 3-point shooter, hitting at a 41 percent mark this season. Whether it’s Tucker, Jorgensen, or any of the other players on this deep Butler team, somebody needs to step up behind Baldwin. This makes opposing defenses game plan for more than just Baldwin which will open up the floor for the talented junior guard. Hinkle Fieldhouse is one of the toughest places to play for visiting teams in all of college basketball. Over the past four seasons, the Bulldogs are 50-12 at Hinkle. Butler has three home games remaining at home this season, and all three are winnable games. They host DePaul on February 16, Providence on February 26, and Xavier for senior night on March 5. Losing one of those games could spell disaster for the Bulldogs’ postseason hopes and end their quest for a fifth straight March Madness appearance. Going 3-0 in those games still may not be enough. It has been no secret that Butler has been less than stellar away from the friendly confines of Hinkle. With ugly non-conference losses at Saint Louis and Florida and a couple close losses on the road in the Big East, the Bulldogs need a quality win away from home. They have two prime opportunities to grab that victory, but neither will come easy. They travel to #10 Marquette on February 20 and then to #14 Villanova on March 2. Butler swept the season series with Marquette last season, but Markus Howard will be a big challenge for the Bulldogs to handle as he was when the Dawgs hosted the Golden Eagles earlier this season. Villanova won’t be much easier though, as both Eric Paschall and Phil Booth are dominating opponents with their 3-point shooting. The Bulldogs will need to figure out how to stop one of these teams and steal a win on the road.